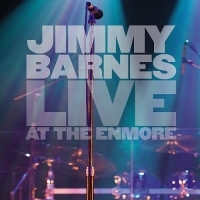 On Saturday July 26th 2008, Jimmy Barnes and his expanded band delivered a career defining live performance at Sydney’s warm and wonderful Enmore Theatre. This once in a lifetime concert includes tracks from his platinumselling and ARIA nominated album ‘Out In The Blue’ and also digs deep into the rich vein of Barnessoloand Chisel history. There is also never before seen access to Jimmy’s back stage preparation before the show. This CD showcases the greatest moments from the album plus some of the solo and Chisel hits from Jimmy’s extraordinary catalogue of songs.